Breakfast has never been a struggle for me, but I know it is for many that just don’t want to take the time. And I totally understand why my little first grader doesn’t want cold cereal every single morning, but I also am super busy in the mornings with all of my blog stuff. I’m not kidding. Mornings are busy for bloggers. So, I don’t really have time to make a hot breakfast every school day. 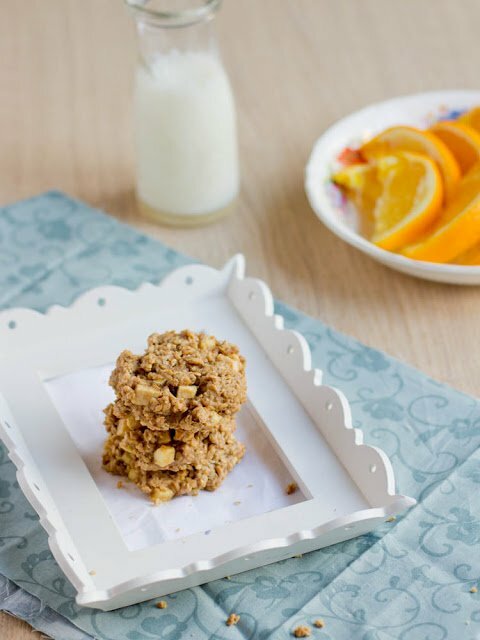 These breakfast cookies are the perfect solution for breakfast. Healthy, can be made ahead, and super delicious AND filling. 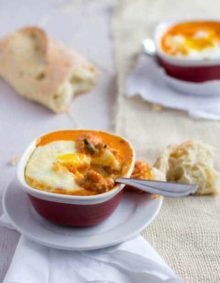 I can either whip these up super fast in the morning, or what I normally do is make them the night before and then we can eat them with fresh fruit, and yogurt or just plain. They are healthy and really filling which is important to me. I feel like a great breakfast sets the mood for the entire day. It gets their brains and bodies, as well as mine, moving for the day. 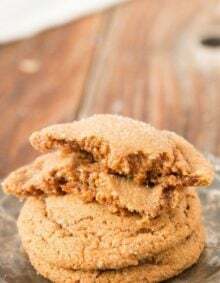 You can make these in no time, plus it’s a “cookie” so I guarantee your kids will say yes! I don’t mean to start a debate here, but I truly believe that our kiddos are only getting bigger, and I don’t mean growing up. You can blame society all you want, but when you really think about it, parents are the ones buying the groceries. I read a little article on Kids’ Health recently and the first fact really made me think. I mean, if our children are much bigger than in the past, plus we already have an obesity problem, just think about what that first fact means to you. I encourage you to go read it for yourselves and then poke around a bit on the site to see what else you can learn about your child’s health. Then begin making healthier decisions to help your children be more successful in life. We personally choose to start the day with a healthy breakfast and a glass of milk. It’s never an option. Milk is just placed in front of them. I can’t control what they choose at school, but I can start healthy habits at home. Kamut is an ancient grain and the brand name for khorasan wheat. It is a large amber wheat grain closely related to durum. 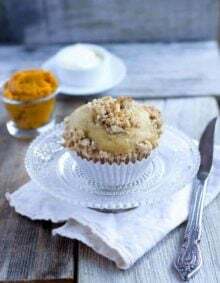 Kamut has a smooth, buttery, nutty flavor, and its high protein and nutritional content. Flax seed is packed with omega-3 essential fatty acids, which are good fats that have been shown to have heart-healthy effects. Do Apples Need To Be Refrigerated? Apples will keep for about a week at room temperature. Apples can be stored for a longer time when refrigerated. Mix flours, cinnamon, powder, salt,wheat germ, and flax seed together in a large bowl. Stir in applesauce, peanut butter, oil, sugar, egg and vanilla until smooth. Add apple, and oatmeal and stir to combine. 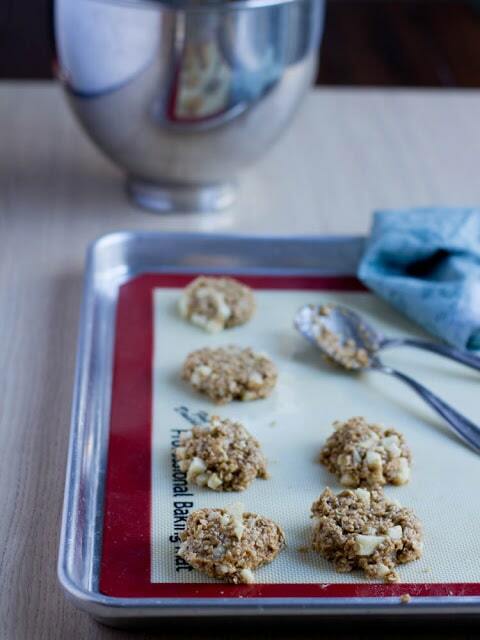 Place spoonfuls on a greased cookie sheet and smash them down to about 1/2″ as they will not flatten by themselves. Bake 15 min and cool on a rack. Someone ask about getting the nutrition facts for the above peanut butter apple breakfast cookie. I use Edamam. It is a website where you can put in any recipe, custom or not, and in seconds receive its nutritional break down; if you want a nutritional facts label, it will allow you to print that as well. Unfortunately these features are a premium part of their website.., under $10 a month. You can try it out on several recipes for free—though; 🙂 just a thought! Do you have nutritional info for this cookie? Thanks. James, thank you for this information! kids weight loss You are mistaken. Let’s discuss. These look delicious! Love the message too. Would oat flour work here as well? breakfast is such an important start to the day, and these will be perfect on those mornings when I have … NO time! I have to have breakfast…and I steer away from sweets. These cookies sound perfect…full of good grains, protein and yummy apples! These cookies sound perfect for breakfast! Teaching kids healthy habits can be hard, but it is so important!! Both of our kids have a bowl of blueberries every single morning (fresh in the summer….frozen/defrosted the rest of the year) and that seems to start out the day the right way. Simple/fast…..and sometimes we'll toss in a couple of pieces of toast. At the risk of sounding crazy, THANK YOU for a healthy breakfast cookie WITHOUT bananas! I am always looking for more in my repertoire (I have a carrot one somewhere on my blog… or maybe it was pumpkin? can't remember lol), but they usually have bananas… which I hate so much I am practically allergic. 🙂 Pinning now. it's so true about starting your day off on the right foot. these sound healthy and disguised very well as cookies that aren't so good for you 🙂 it's sad that the obesity rate is growing out of control – i'm glad you're making your readers aware of it and implementing plans to start the day off right is very smart! One of my soap boxes too but enlighten me on Kumat… I think I'm pretty savvy in the health/whole food depo but I don't know this one. Have you explained it else where that I can take a look at? What's a good sub? Whole wheat flour? I'm excited for these because we are eating sugar and refined anything free until Thanksgiving and this might be a fun little treat when we need one. I would totally eat these for breakfast. I'm really bad about it because I'm usually not hungry first-thing and then by the time I am hungry, it's nearly lunch time. It's a terrible habit! We both posted peanut butter cookies today! Of course, yours are much much healthier than mine. And sound like a great way to start the day! Lovely! I love how healthy and yummy this recipe is. Good idea to enjoy the morning. It's so scary how quickly the rates of childhood obesity and Type 2 diabetes are rising. It really is up to us as parents to teach our kids healthy eating habits that will last a lifetime. These cookies would make a fantastic afternoon snack, as well as a quick breakfast option. I love breakfast cookies! And yes, there is no choice for the kids. They have to eat whatever is placed in front of them! At least, that's my mentality. It's super important to create healthy habits-and breakfast is the most imp. meal to do so with! I adore breakfast cookies, and yours look fab! Alright, donuts are my weakness, but I can't resist cookies for breakfast 🙂 hehe. And I LOVE breakfast! Such an underrated yet important meal! I totally agree- healthy habits start at home!! Love all the goodness in these, and I can't wait to make them! These sound fantastic – love the kamut!! Recently tried kamut pasta and it was incredible.